Click here to buy zip ties now! Zippity-doo-da, zippity-yay, I’m gonna organize some wiring today! Cable ties, or zip ties as they are more commonly known, may be one of the greatest inventions in the history of mankind. Invented in 1958 by Thomas & Betts, zip ties were branded Ty-Rap, and were designed for securing wiring in airplanes. Today, there are many different types, and some very specific specialty zip ties. They are simple in function, yet can be used for thousands of tasks from bundling wires and securing components to safety and law enforcement use. While we are all familiar with the most common zip ties, there are actually quite a few variations, some with very specific uses. 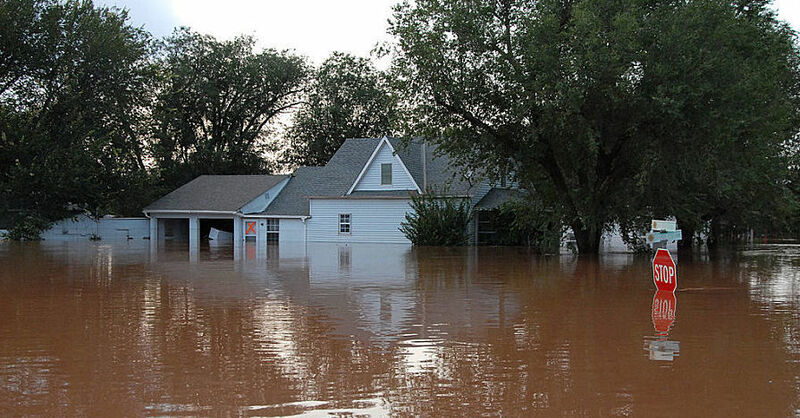 Their uses go far beyond cleaning up wires under the dash and holding a tarp on your lawn mower. Most zip ties operate in the same manner – a ratcheting lever inside the head of the strap locks into one-way ramps on the strap itself. In most cases, the lever is made from the same material as the strap, but in some specialty ties, it is a metal lever that is bonded into the strap during manufacturing. These ties are stronger than the common nylon ties. While most zip ties are not designed to be reusable (some are, such as law enforcement cuff straps), nearly any zip tie can be released without cutting using a small pin (paperclips work great) to release the locking lever inside the head of the tied. There is a loss of strength each time you release the tie. Inside a zip tie. You can see the tang and the locking strips and how they interact. 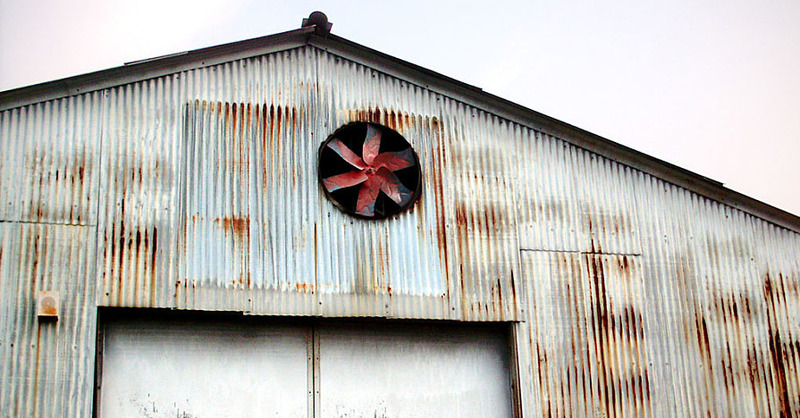 Photo courtesy of Wikimedia Commons. These standard zip ties are suitable for general purpose, meaning wire ties, securing light-duty tarps, etc. These are not high-strength. The most common zip tie is the nylon light duty zip tie. Standard nylon comes in everything from light duty (you can snap it with your hands) to heavy duty thick nylon that is quite durable. While they come in a myriad of colors, white and black are the most common. 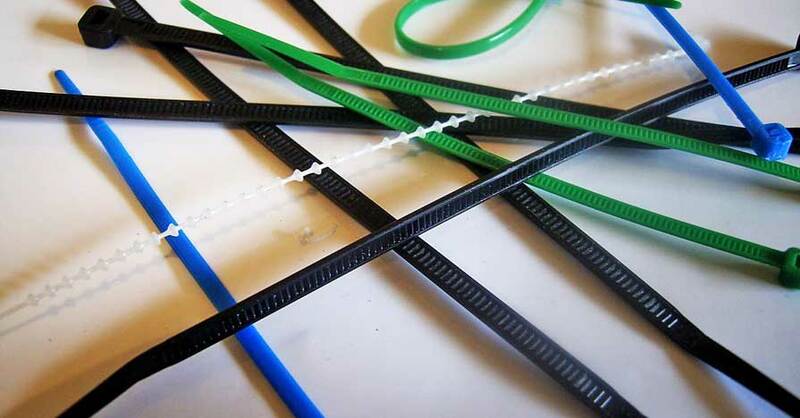 A minimum of 2% carbon black is required for standard nylon zip ties, this gives them UV resistance when used outdoors. Whether used for securing a latch or restraining a suspect, security zip ties are a necessary component. They can still be cut, however they are thicker and more durable than standard nylon ties. For law enforcement, they zip cuffs even have two locking heads, one for each wrist. These are tamper-proof, so that they can’t be easily unlocked with a pin. Other types of security ties have tamper-proof heads and can even have serial numbers. When you need strength and security, you need a steel locking tang. These are harder to pick (using a paperclip), and have significantly more strength. 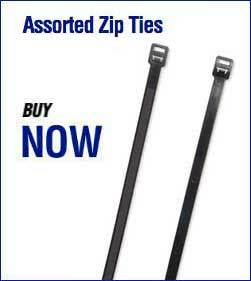 There are some specialty ties available for singular purposes, such as radiator zip ties. These are designed to go through the fins of a radiator to secure cooling fans and other finned coolers (oil, transmission, and A/C) to the radiator. 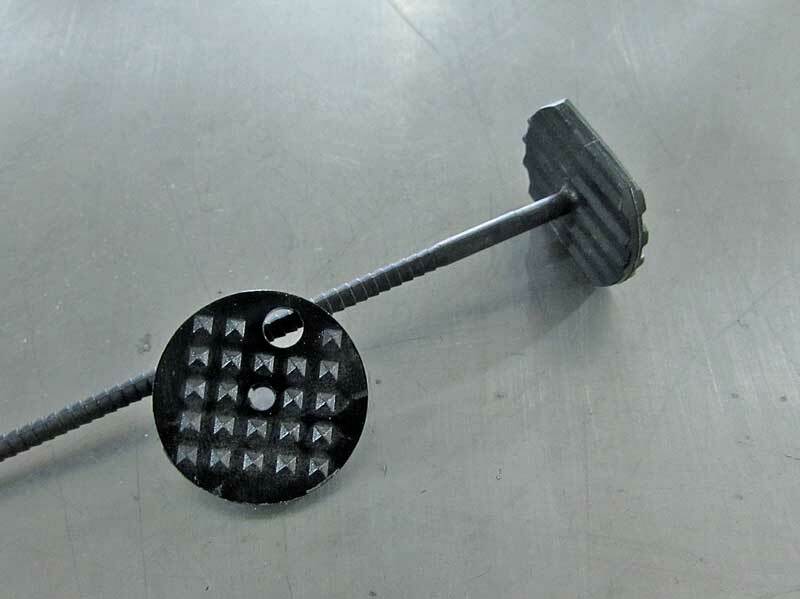 There are also specialty ties that have screw mount holes molded into them for positive mounting with a screw. When you need to attach an accessory cooler in front or behind your radiator, these are zip ties you want. 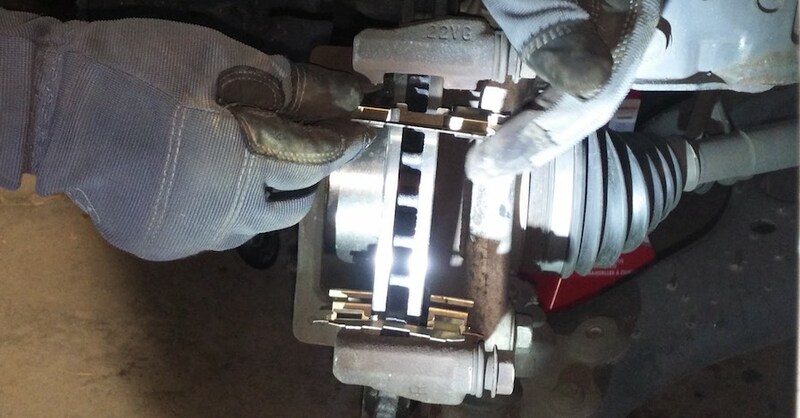 Available in 4-packs as Transmission Cooler Mounts at your local NAPA. 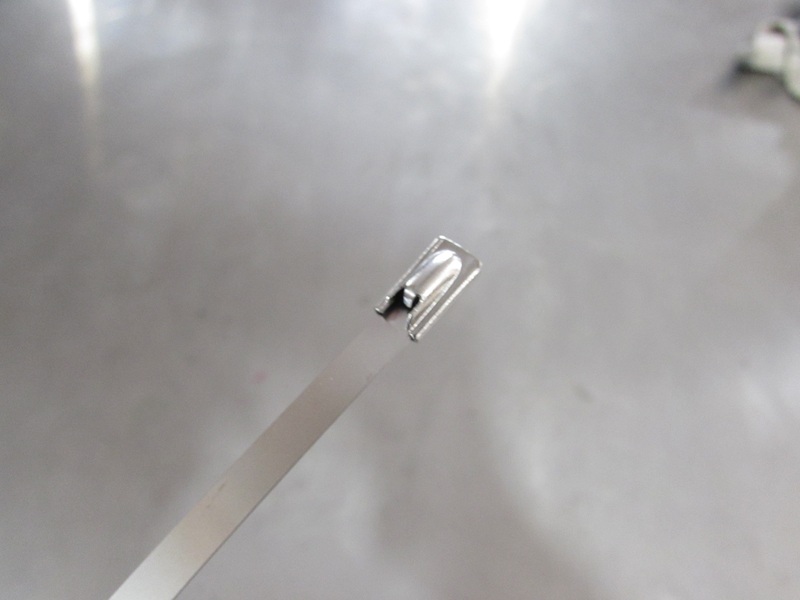 When it comes to high heat application, stainless steel zip ties are very helpful. Automotive uses include exhaust wraps and repairs, as well as securing heavy items, up to 400 pounds. These ties do not use a lever lock, instead they have a ball lock or resistance locking mechanism. Stainless Steel ties are not single piece, it is possible to damage them if you over tighten the head. Fore securing high-heat applications, such as exhaust wrap, you need a stainless steel tie. These don’t lock in the same manner, and tend to be slightly loose, but they are secure and won’t melt. The food industry uses zip ties, but this can represent a problem as you would not want an errant piece of tie ending up in prepared food. To eliminate this, all food- grade ties are blue and have metal particles in the nylon itself. This allows them to trip metal detectors that scan containers. For chemical resistance in corrosive application, Halar (ECTFE, Ethylene ChloroTriFluoroEthylene), is used where corrosive acids are present in high concentrations and temperatures. These ties are designed for use in high-radiation environments. Made ETFE (Ethylene tetrafluoroethylene), which is called Tefzel, these ties are resistant to radiation and high temperatures. Releasable ties are available for just about every type of zip tie, they are designed to be reused, so they do not lose strength when released like typical nylon zip ties do. 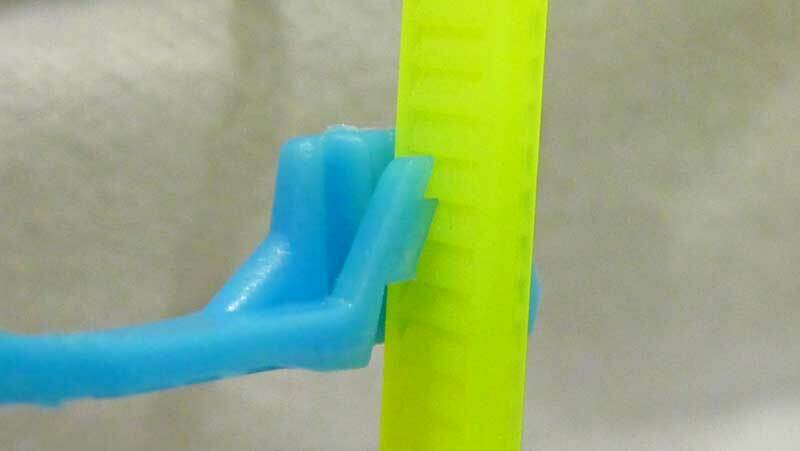 One of the coolest zip ties there are is one that most of us will never actually see. 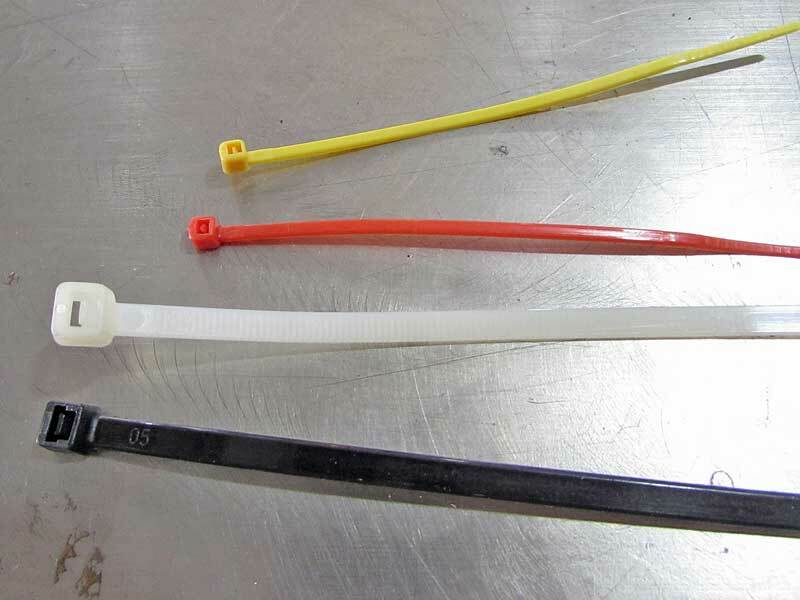 LigaTie is a resorbable (absorbable) zip tie used in surgery to speed up surgery times. Once secured, the zip tie helps speed up healing and then it absorbed into the body. These are becoming quite popular with surgeons performing gastrointestinal operations. 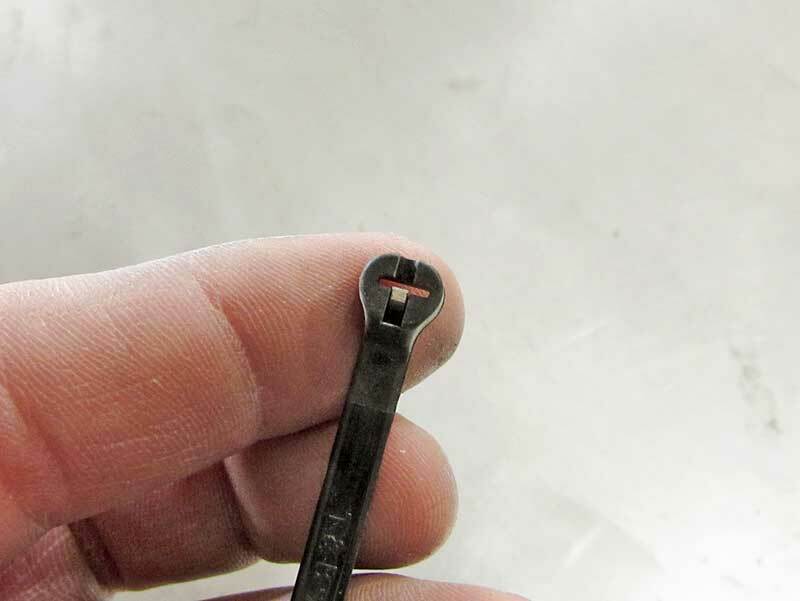 Using a zip tie is quite simple – load the small tail into the head and pull. You will hear clicking when the tie is correctly loaded into the head. It is possible to put the tie together backwards, where the locking ramps are upside down, not making contact with the lever. This does not damage the tie; it just won’t work until you flip it over. The important thing to know when using zip ties is to make sure your application matches the ties you have. 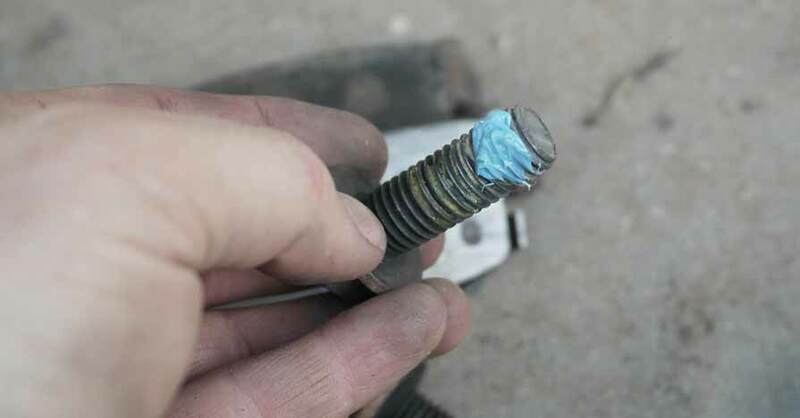 If you are securing some wires of a component under the dash, a standard tie will work great, but light duty ties are only good for a few pounds of pressure. 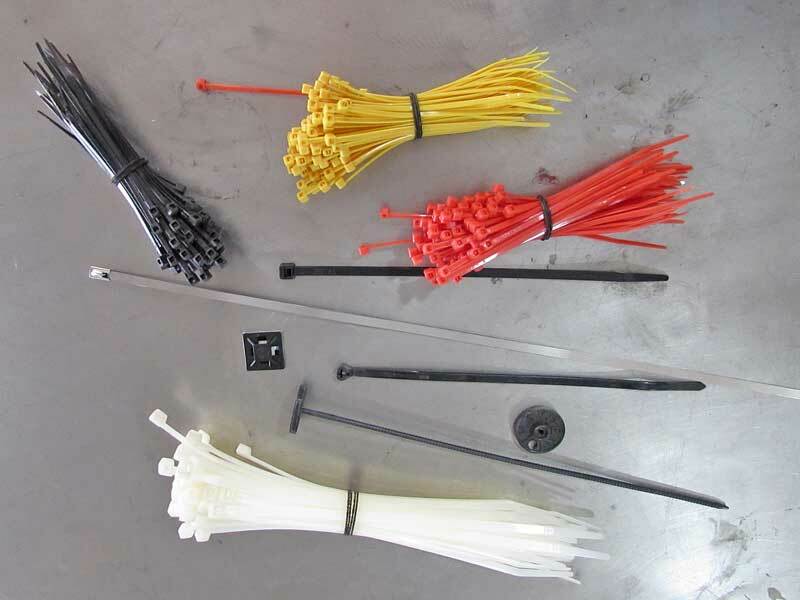 It is a good idea to keep a few different grades of zip ties on hand for every need you have. Check out all the tools & equipment available on NAPA Online or trust one of our 17,000 NAPA AutoCare locations for routine maintenance and repairs. For more information on zip ties, chat with a knowledgeable expert at your local NAPA AUTO PARTS store.